Minecraft is on just about every gaming platform out there, with the notable exception of Nintendo products - but Notch wouldn't mind changing that. It's safe to say that Minecraft is a titan among indie games. You can play it on just about anything - PC, Mac, Linux, Xbox 360, Raspberry Pi, Android, and iOS, with Sony versions coming soon. Yet there's one market that remains curiously untapped - Nintendo platforms. 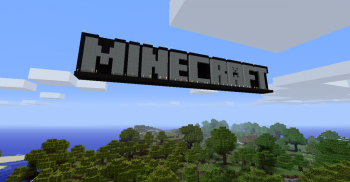 It seems like Minecraft would be a hit among the Nintendo demographic, and rumors have been flying recently that the Wii U might be getting a port. Bad news first: Notch shut down the rumor, stating that he is "not aware" of any plans to bring Minecraft to the Wii U. But if there were more hours in the day, he'd like to do it. A recent post on reddit spread the news that there was no port in the works, and Notch himself chimed in with an explanatory comment. "I'd personally love to see a Wii U version of Minecraft," he admitted. "Actually, even more so, a 3ds version would be incredible. There are some homebrew proof of concepts that show it's possible. The reason we're not doing it is a lack of time and manpower." He says that they could pull it off by outsourcing the work to another developer, but that isn't the Mojang way. Keep in mind that Notch has moved on to other projects, and is no longer the main man of Minecraft. "I'm not really that involved in the business part [of] Mojang," he says, "so I don't know if Nintendo's been in contact with us." So it's possible that a Nintendo version could be happening - just don't hold your breath.